Our bodies are mostly water. Our natural state is to move fluidly like water and adapt to our environment. When I do yoga I want to be like water pouring from a vessel. 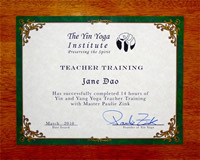 This is the only official Yin Yoga Teacher Certification Course authorized by The Yin Yoga Institute and taught by the founding master of Yin Yoga, Paulie Zink. Learn to teach the art of Yin Yoga as it is intended to be taught. Yin Yoga was developed by Master Zink from the Taoist spiritual traditions and health practices of ancient China. In Taoist philosophy, the entire universe is regarded as a living organism imbued with life force. Being in harmony with the flow of this energy in nature is the essence of Taoist attitude. The primary purpose of Yin Yoga is to restore and enliven our innate ability to move with fluidity, power, and grace. Participants learn to open to their intuitive hearts, to discover the individual expression of the artist within, to awaken the spontaneous and playful spirit, and to transcend the boundaries of the analytical mind in order to advance beyond techniques for doing yoga into cultivating a way of being yoga, of living it in our day-to-day lives, and sharing these gifts with the lives of those we touch. To reserve a space, send registration along with check for full payment or $350 deposit, balance due before or by Saturday, October 12, payable to: Chicago Yoga Center, 3047 North Lincoln Avenue #320, Chicago, Illinois 60657. 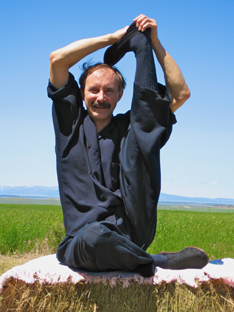 Former students who have finished the 5-day Training with Paulie Zink receive a 10% discount. The workshop and teacher training will be held at the Chicago Yoga Center. 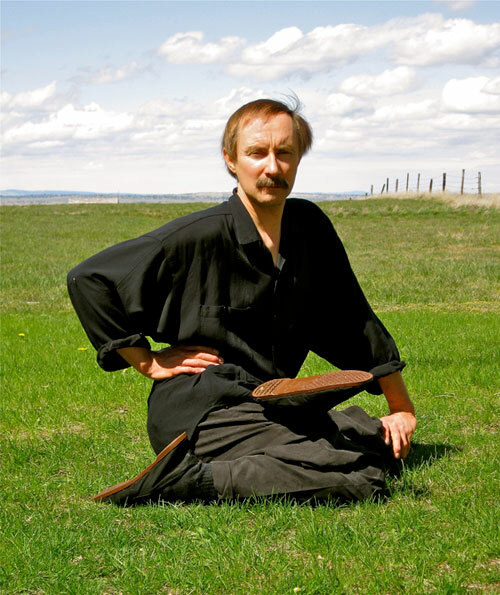 Master Paulie Zink received private intensive training for ten years as the sole protégé of Chinese Taoist yoga and kung fu master, Cho Chat Ling. A three-time international martial arts grand champion, Paulie is renowned for his fluidity, flexibility, and artistry of motion. He teaches with a relaxed and playful demeanor that encourages everyone to feel accepted and comfortable. He brings over 30 years' experience to his teaching. (Most about 25 minutes walking distance or more). Yin and Yang Yoga Teacher Training with Paulie Zink.